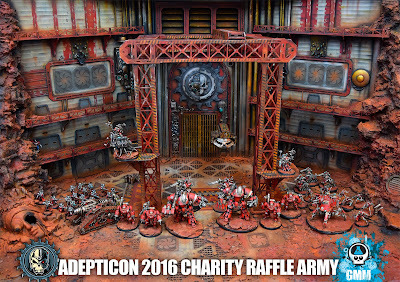 The 2016 Adepticon charity raffle army is ready to roll out to one lucky winner! 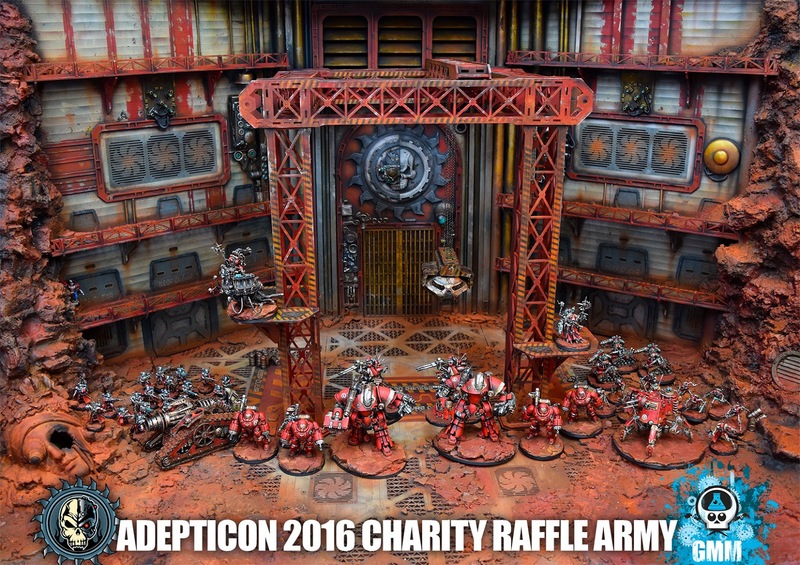 Reminder to win the army, one needs to attend Adepticon and purchase raffle tickets. 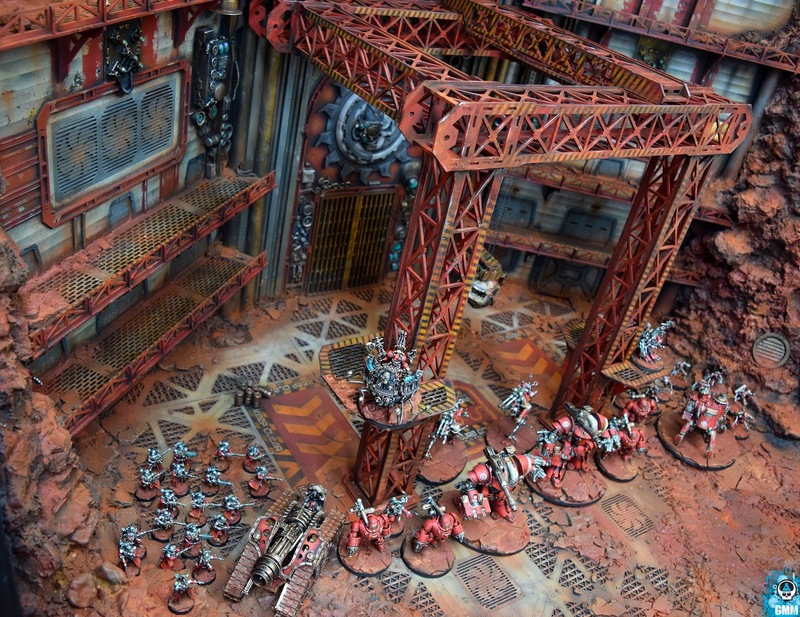 All proceeds this year are split between two great causes, Disabled American Veterans and W.D. 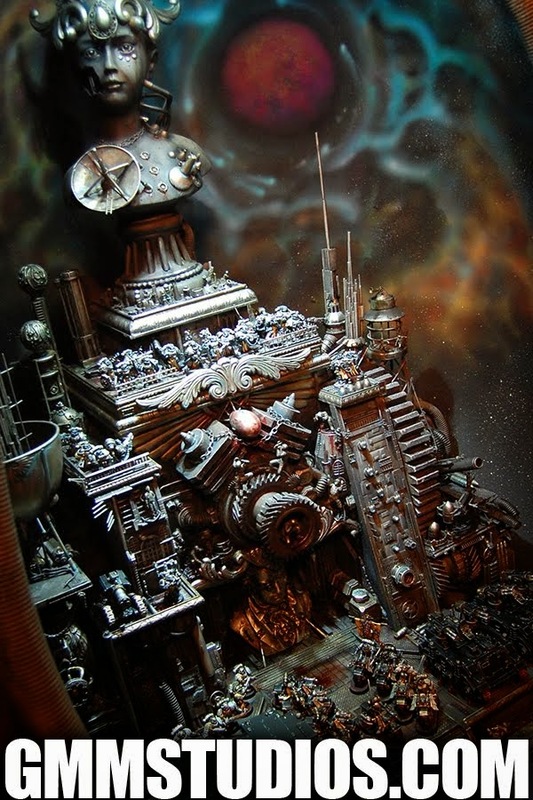 Boyce Council of Illinois. 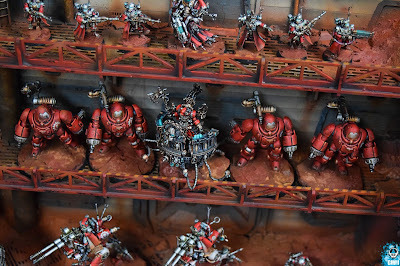 I am very happy with my decision this year to skip the personal display and focus all of my time and energy in the charity army. All the fun I usually have this time of year and a little extra goodness in being able to help a good cause. 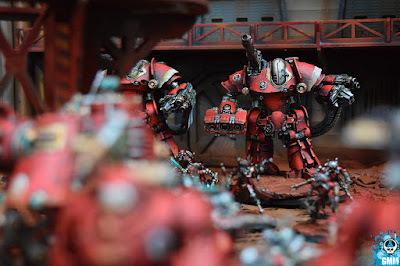 As I stated in the WIP posts, this will be my ninth year at Adepticon and it was an honor to make an Adepticon themed display for my favorite Con that will be a sort of mascot for this and future charity raffle armies. Not only that but it allowed me to work more closely with Alex Landing of Ironheart Artisans. 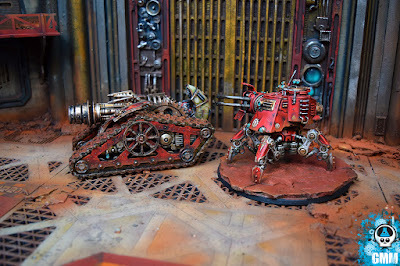 Usually go these things alone, so it was nice to have his input and work in what proved to be a very great team. 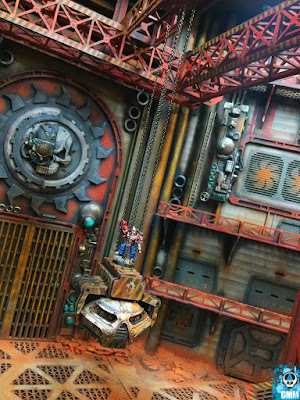 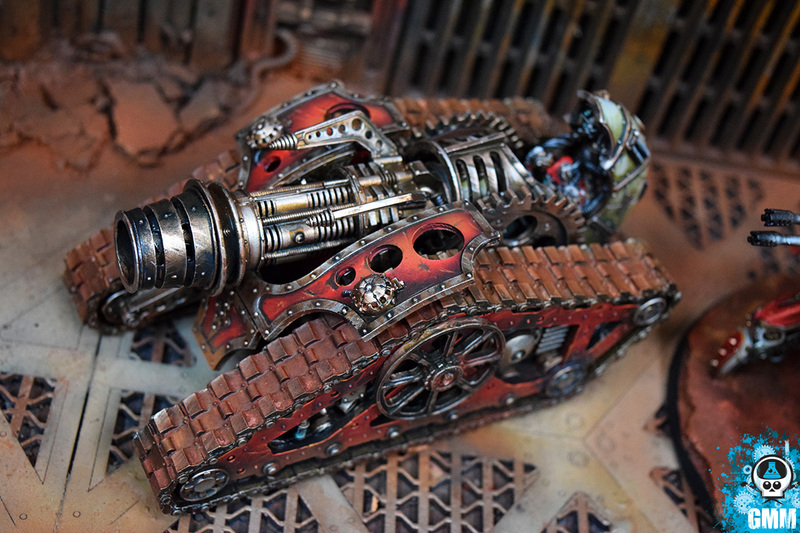 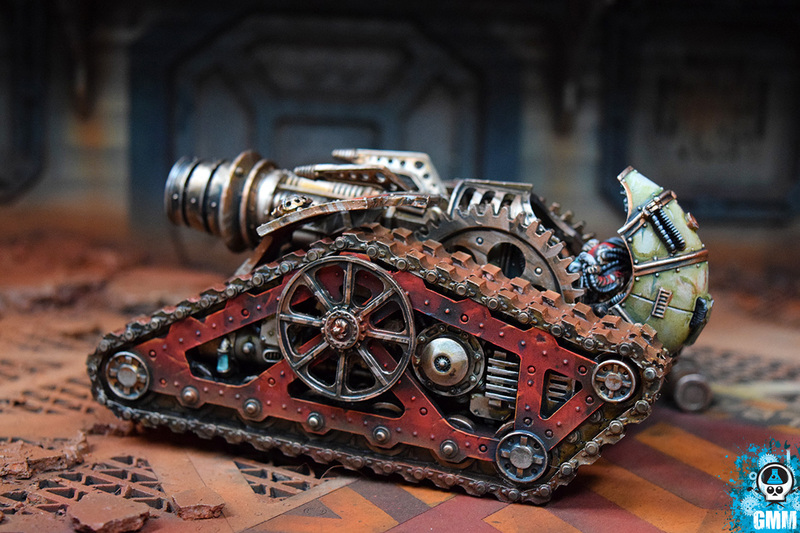 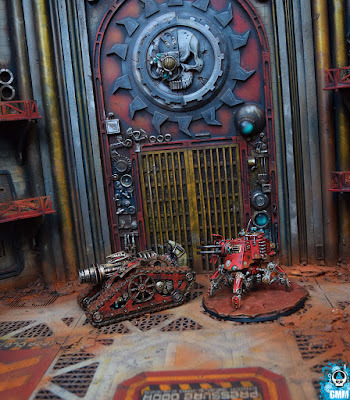 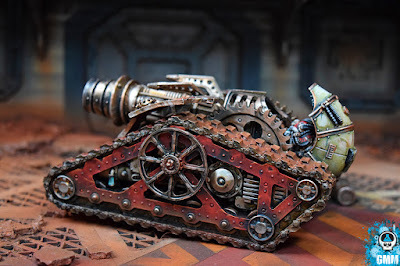 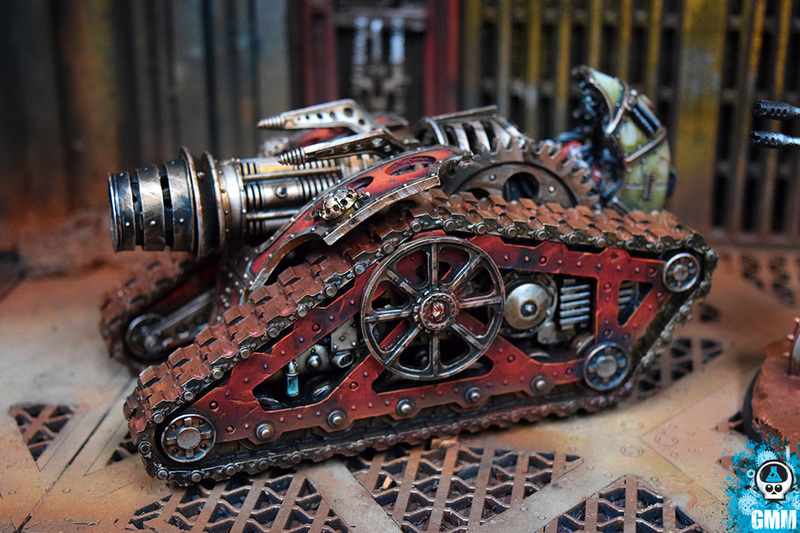 The merging of laser design, modelling and painting and working that line of blending them together, making the best of both and better than the sum of each half's parts was a new and successful effort that was very rewarding. 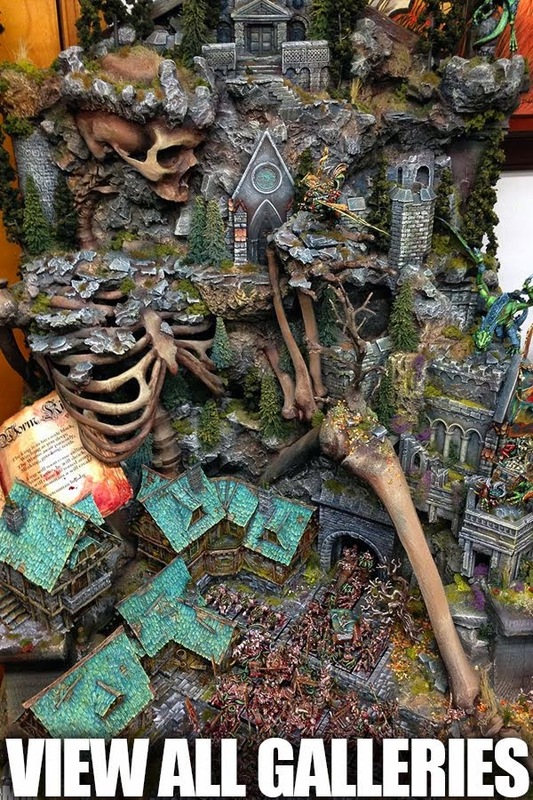 I see a lot in store in the future for the both of us working together, and this is certainly just the tip of the iceberg in big and over the top displays. 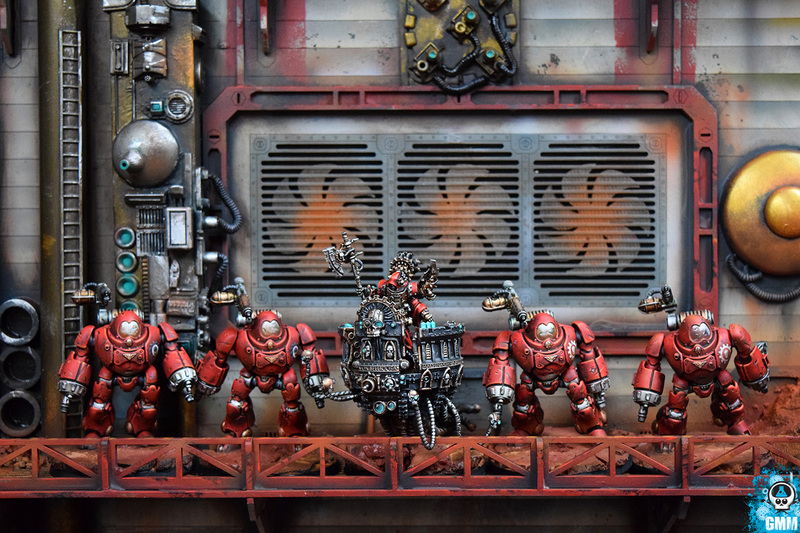 Thank you Alex. 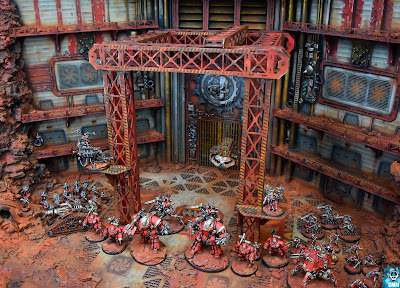 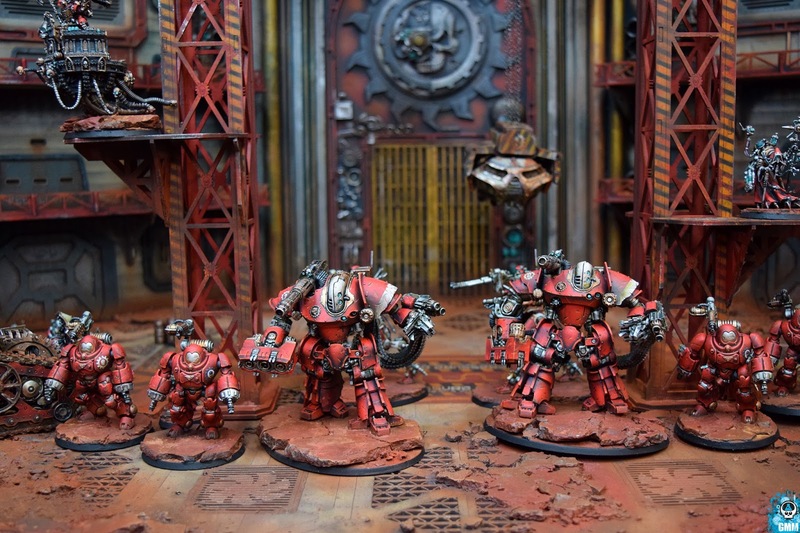 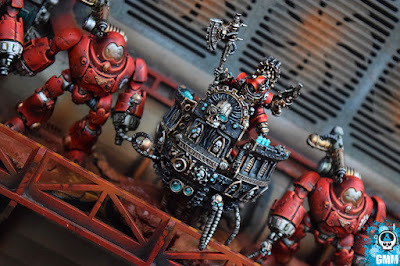 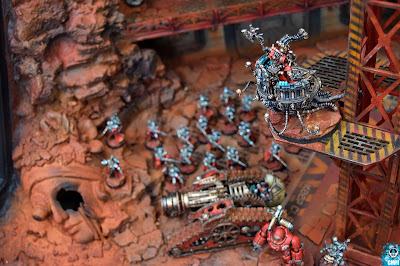 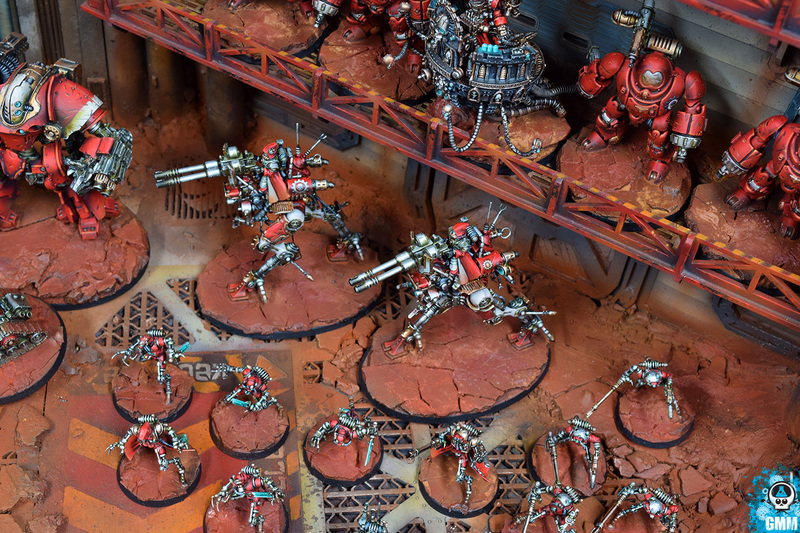 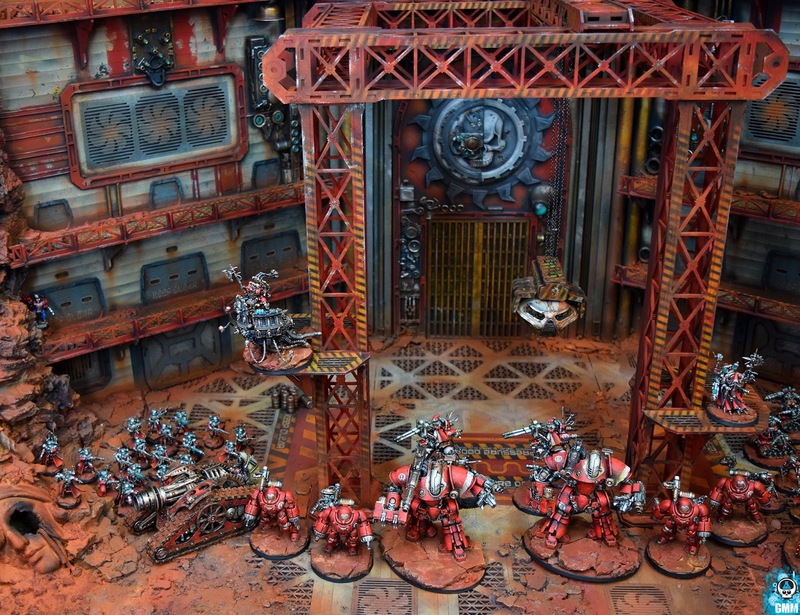 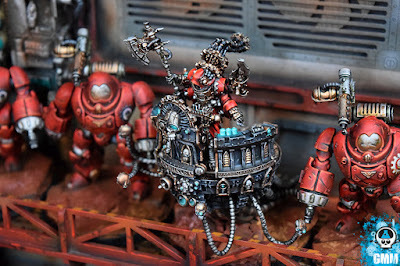 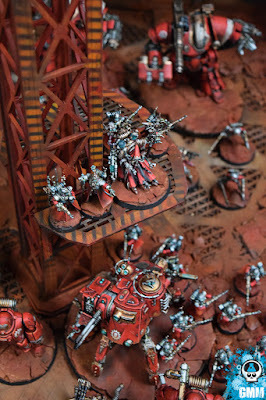 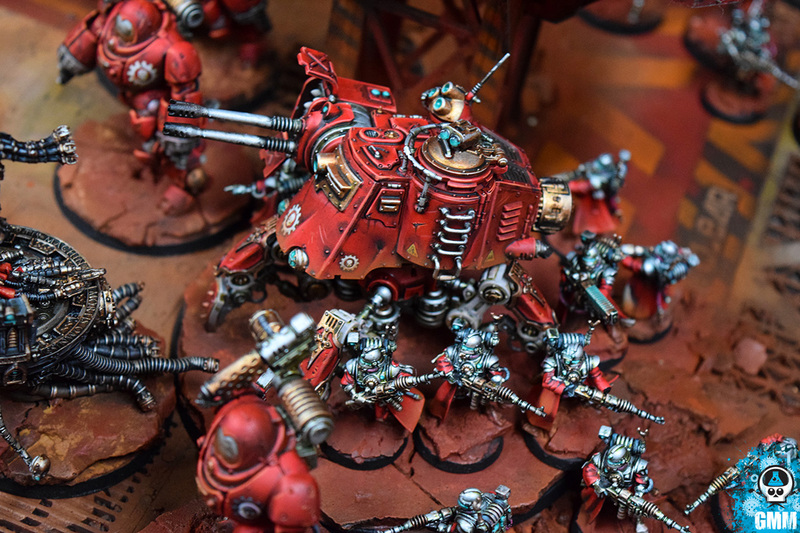 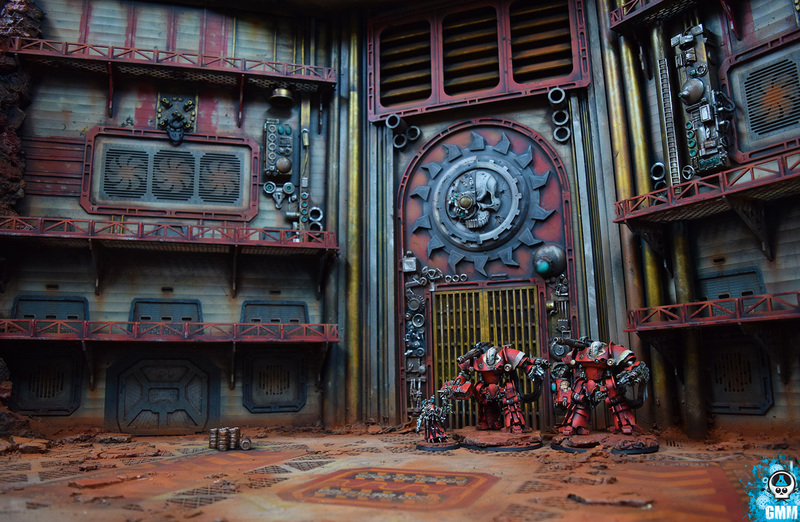 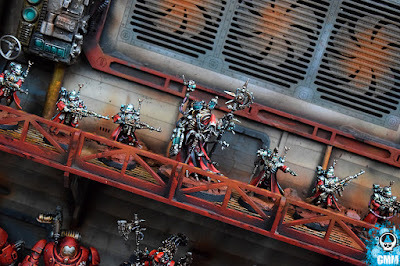 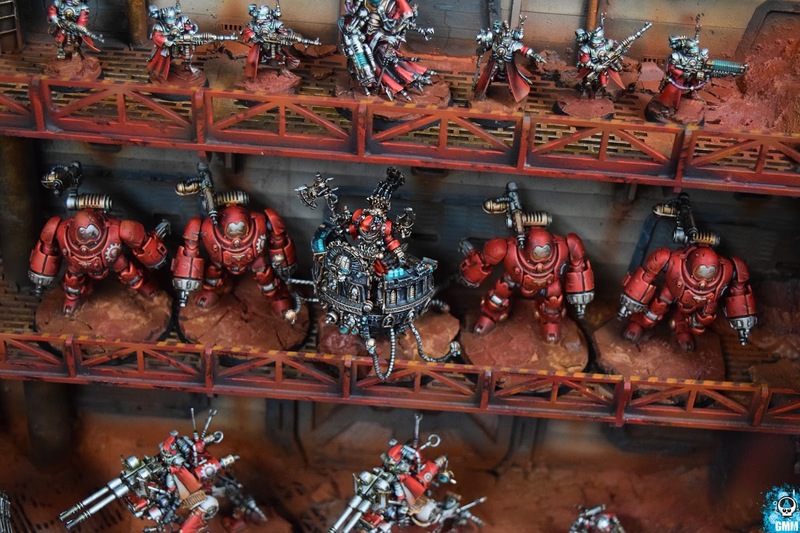 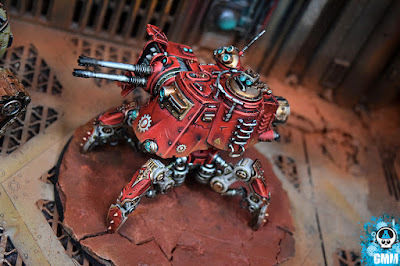 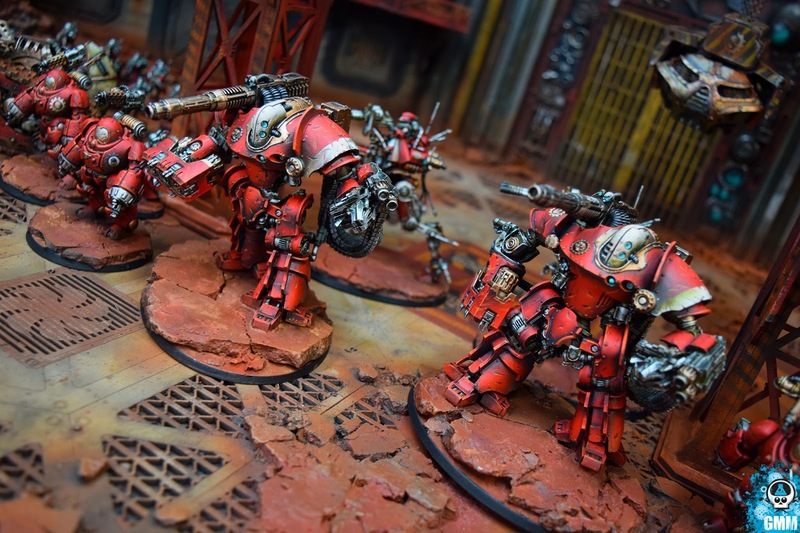 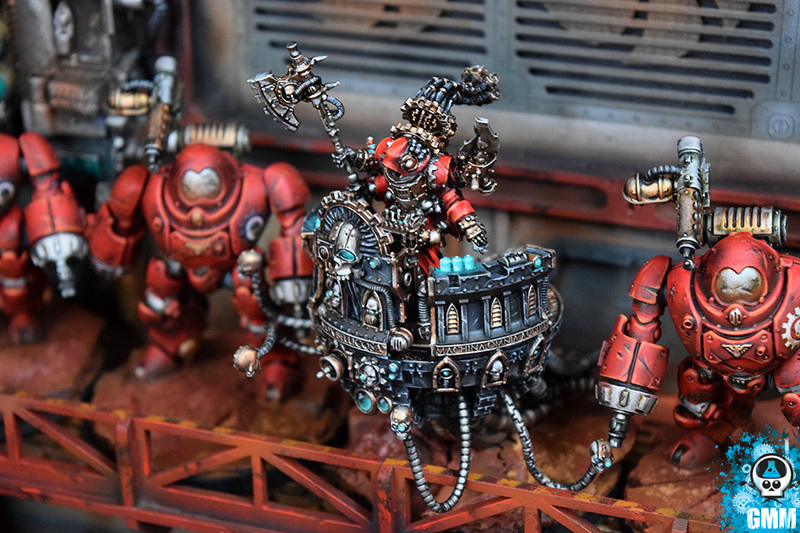 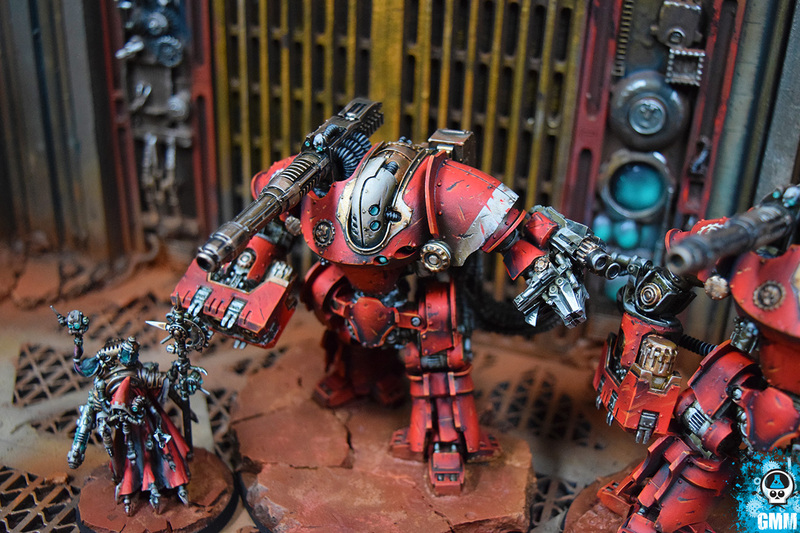 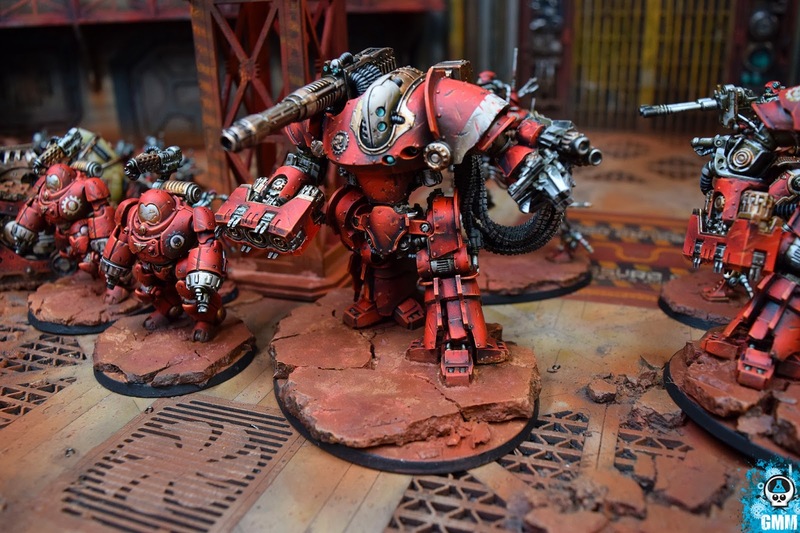 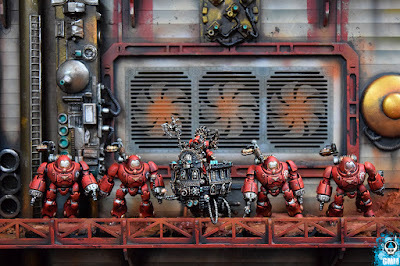 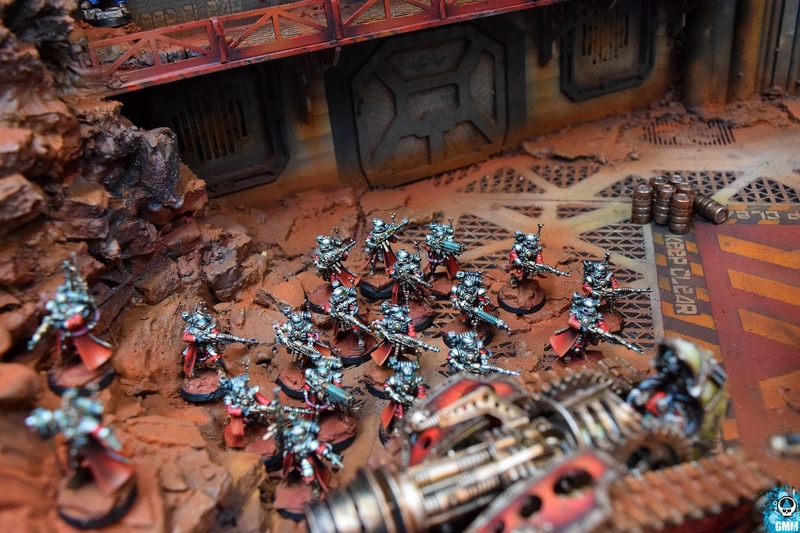 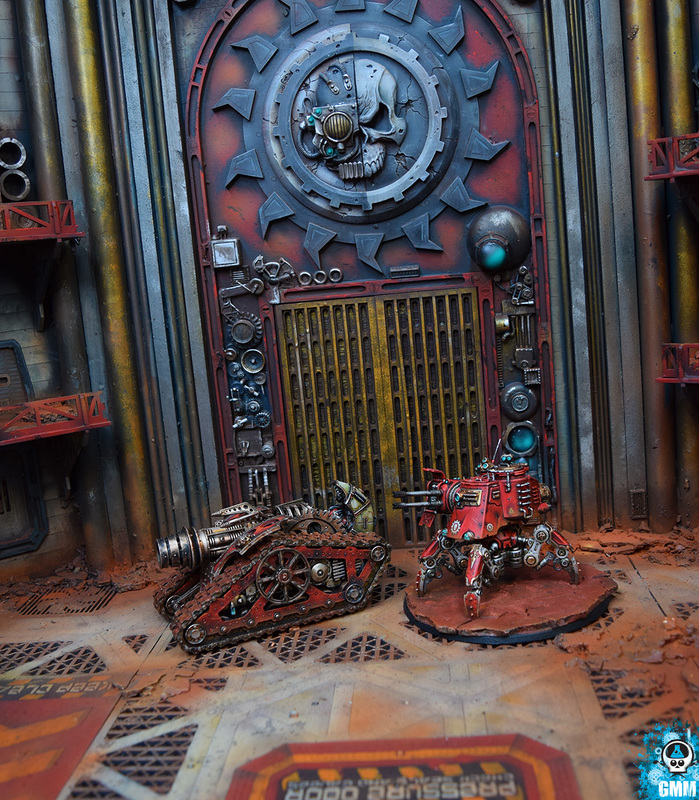 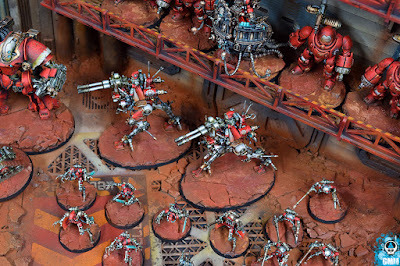 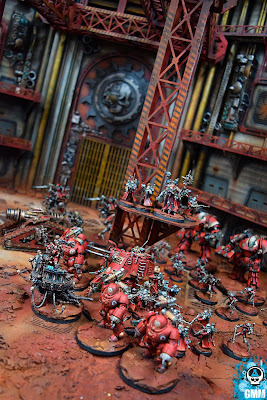 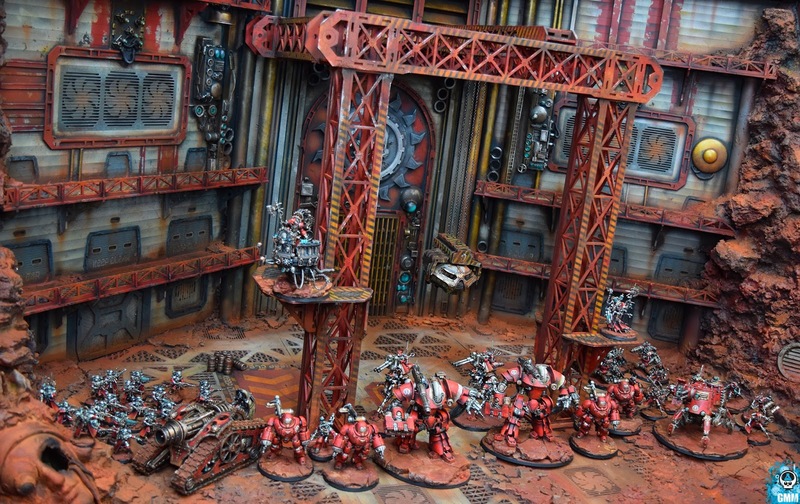 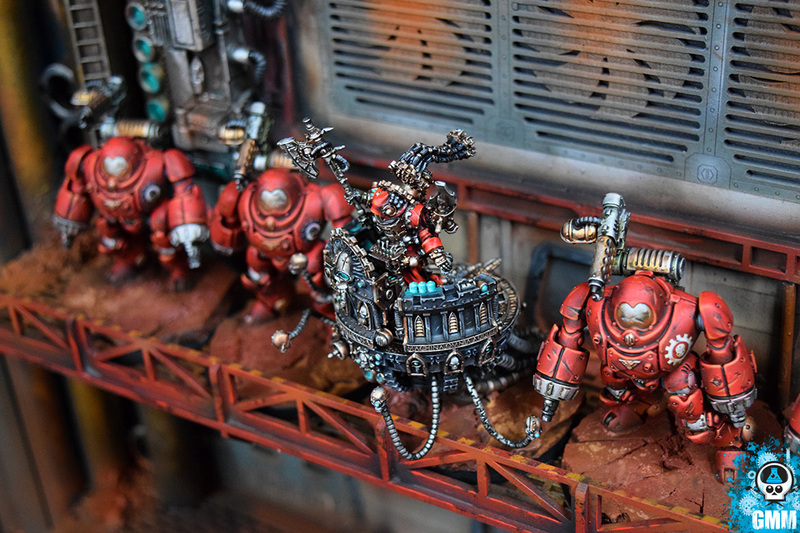 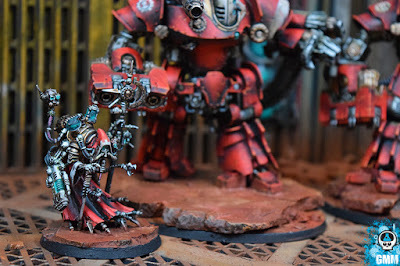 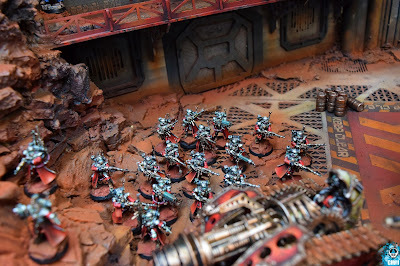 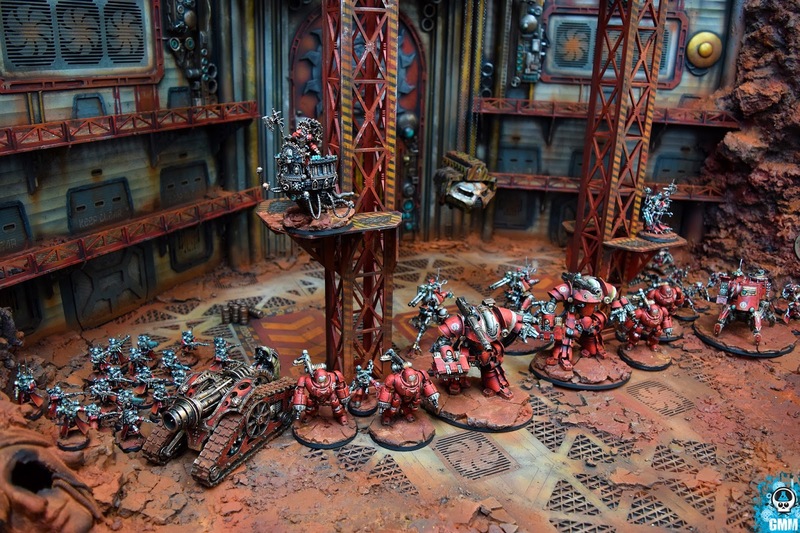 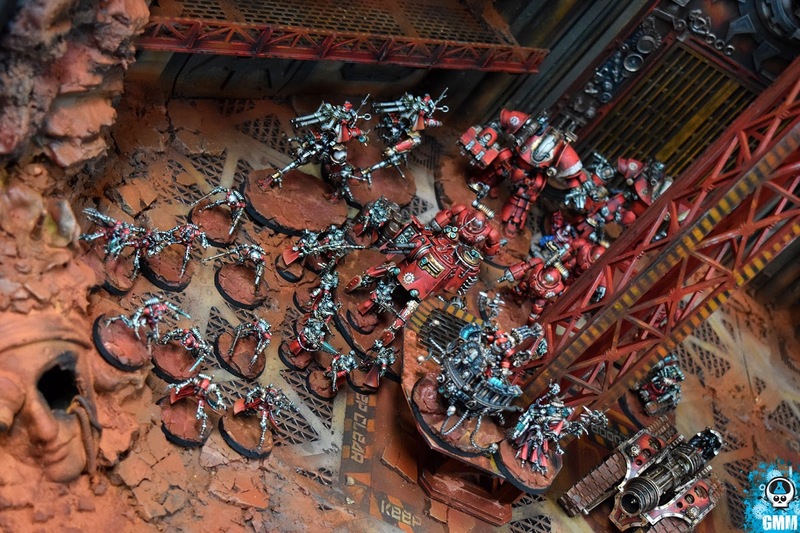 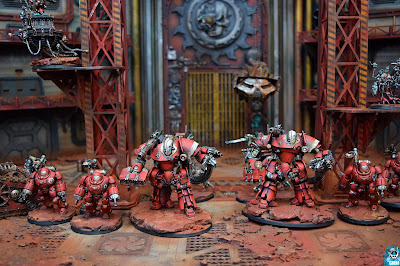 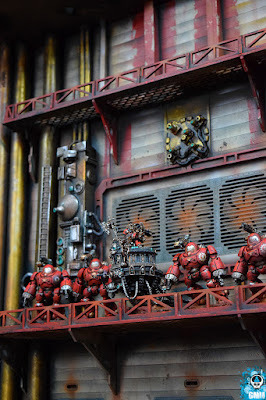 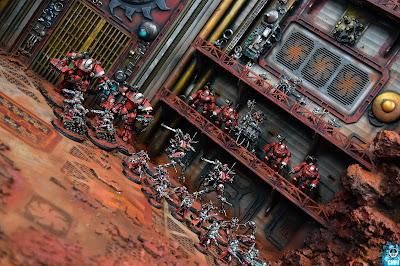 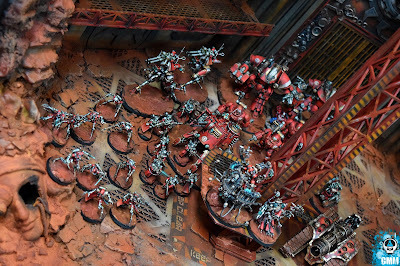 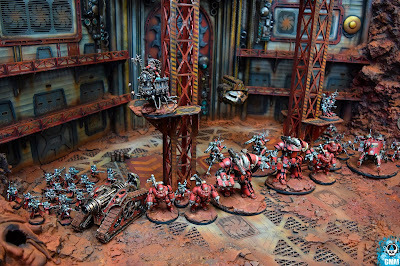 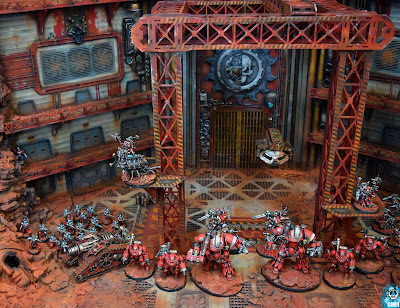 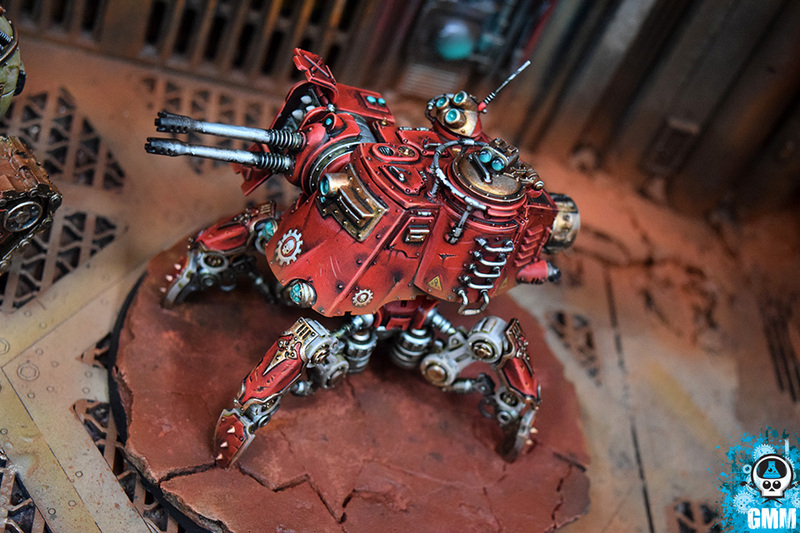 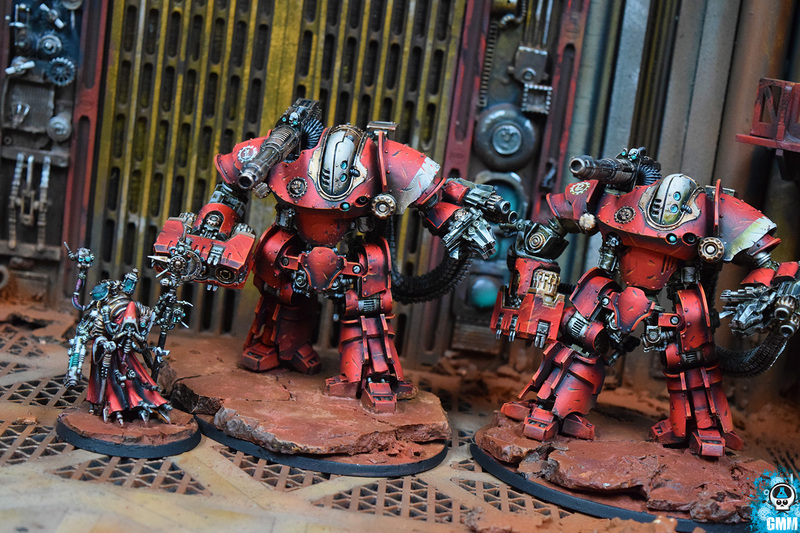 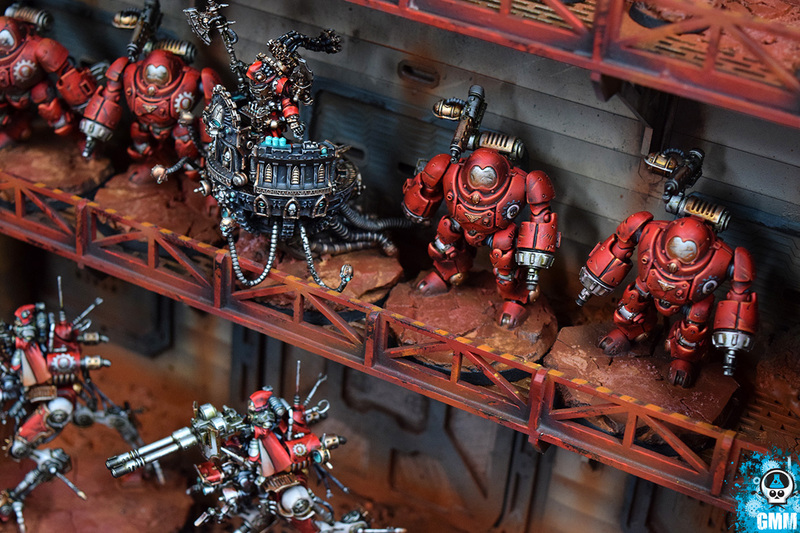 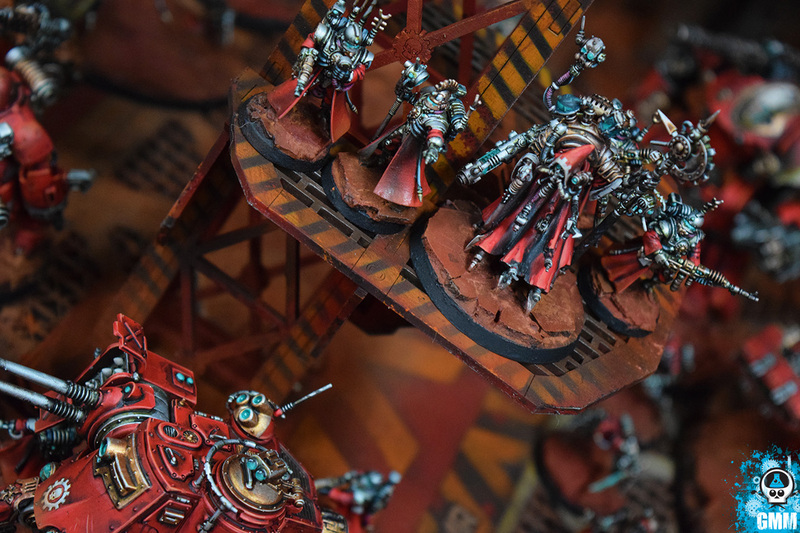 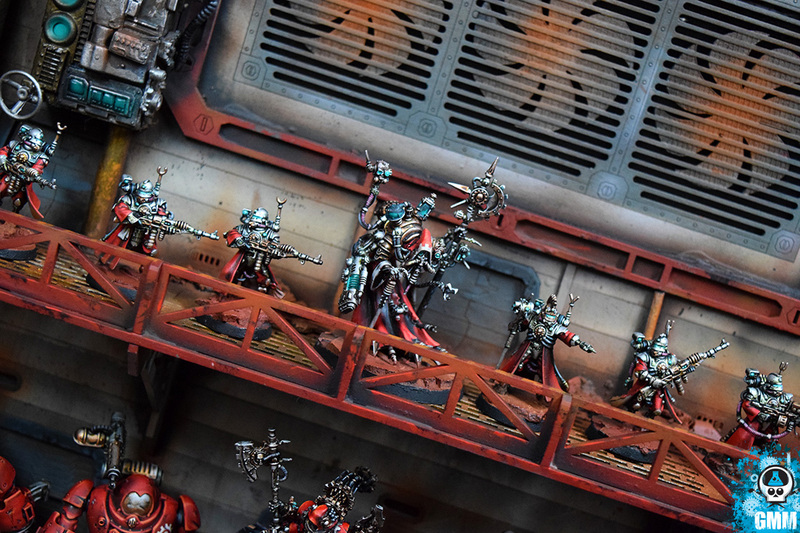 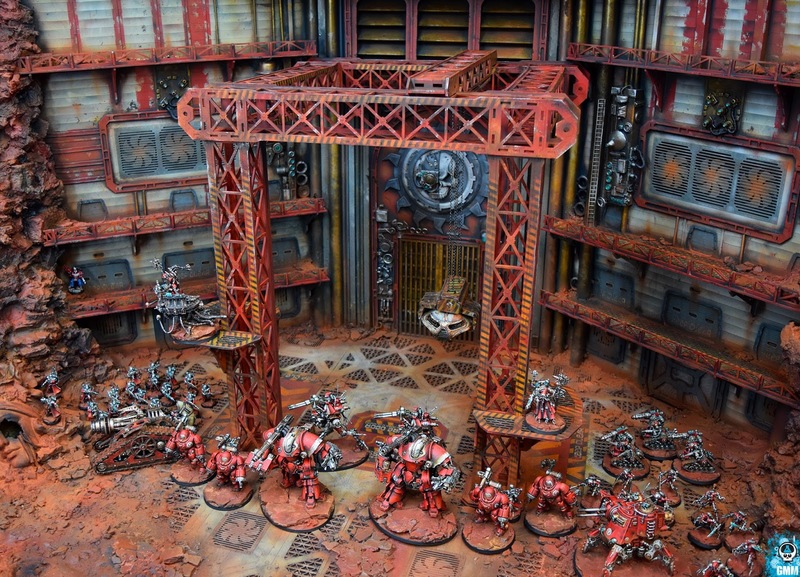 The painting of the army went very smooth, and in keeping with "Adepticon" it is Admech in red. 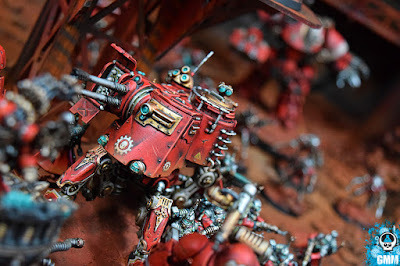 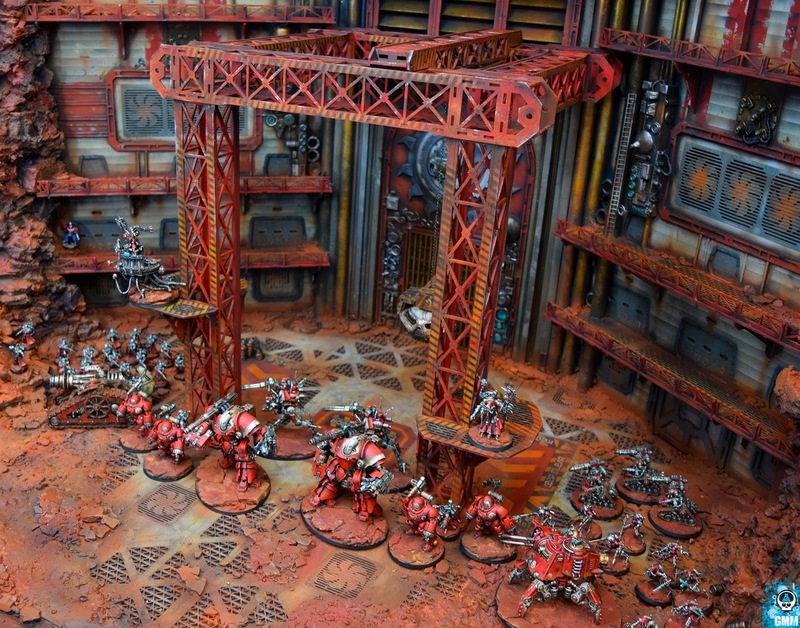 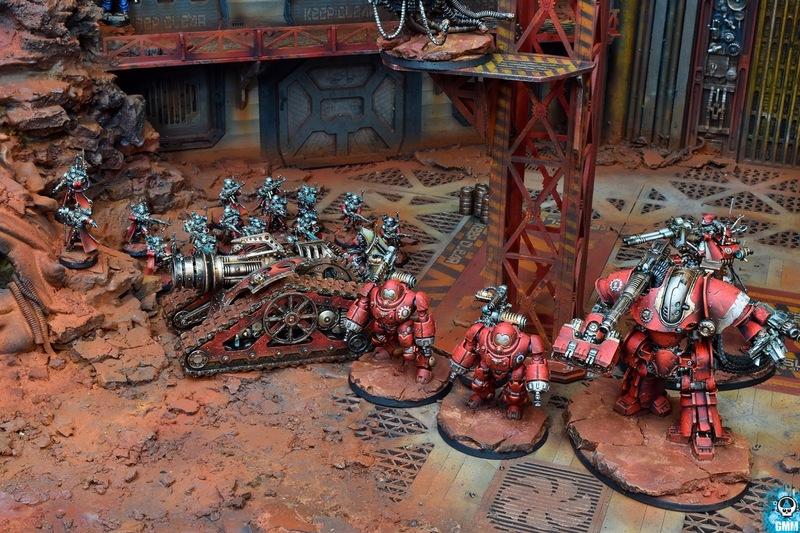 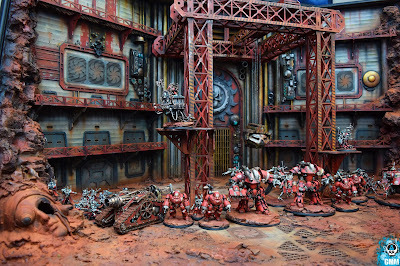 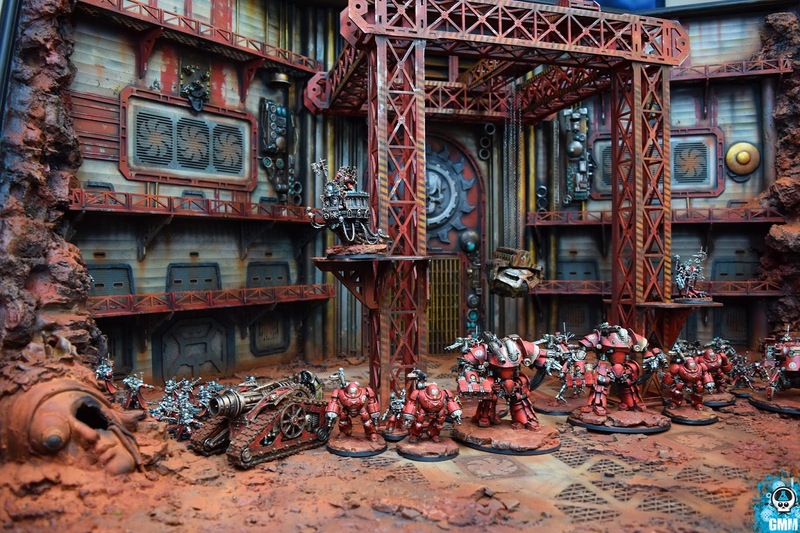 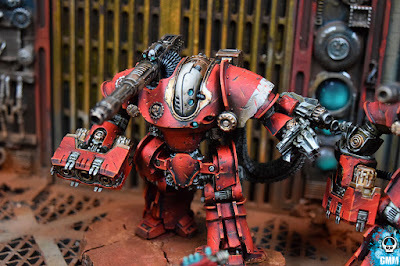 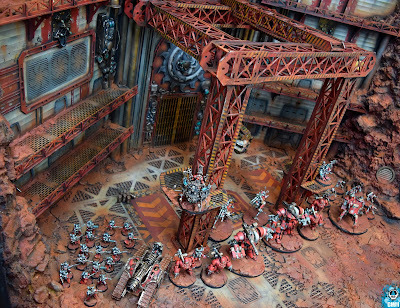 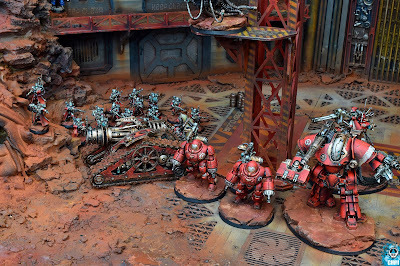 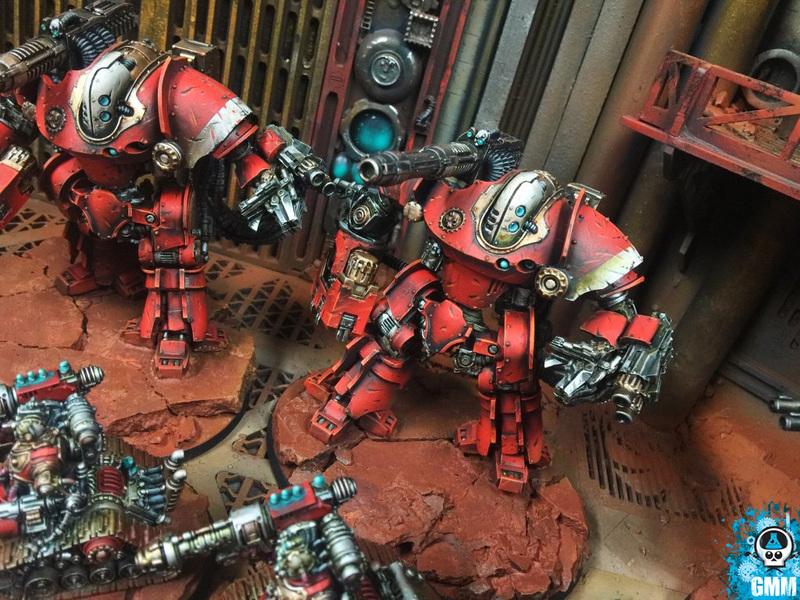 A brighter red, weathering and character went a long way to make an army full of life. 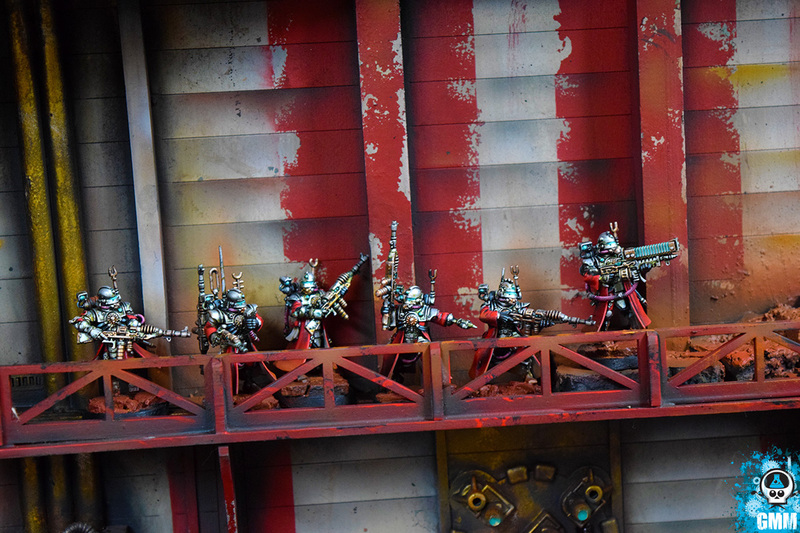 When time is put into the basics, bells and whistles aren't required and make for a classy and traditional army. Thank you to everyone involved - Greg Sparks, Hank Edley, the rest of the Adepticon team, Chaos Mail Order, Alex Landing, and Games Workshop themselves for donating the Forge World items.